Fit for a family, the Toscana offers it all. The main floor features an open-concept kitchen, nook and great room, along with a semi-private dining room and enclosed den. 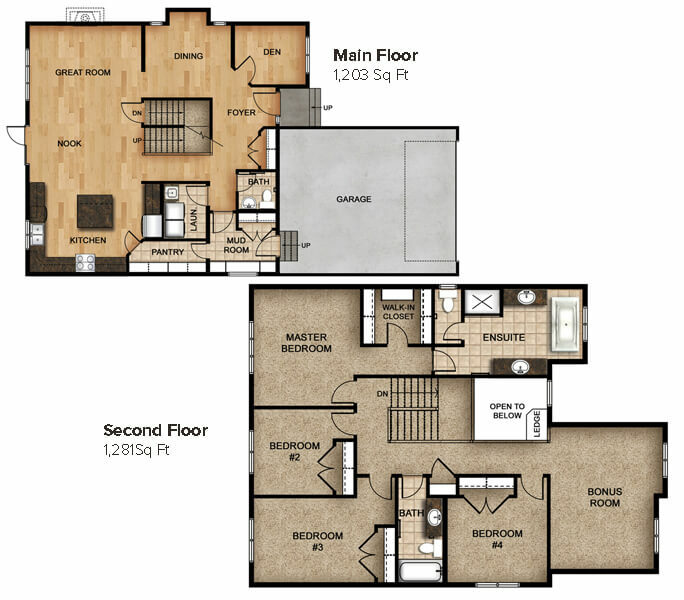 The upper level is complete with four generously sized bedrooms and a Bonus Room at the front of the home.